You take the role of Max Caulfield, an 18-year-old girl, that bears a slight resemblance to a young Milla Jovovich, studying at the Blackwell Academy in her hometown of Arcadia, with an interest in photography. As it happens, Max one day realizes that she can rewind time and this turns out to be the game’s main premise. Everything begins to revolve around Max’s ability and there are only glimpses of what may come next for the heroine. There are many interesting characters, surrounding Max and you really feel the need to learn their stories. There is the mysterious best friend who lost someone very dear to her, the guy friend who seemingly hopes for something more, the damsel in distress, the mean girl, the renowned professor and many other interesting personalities. The game sports an incredible soundtrack, with most of the songs being written by Syd Matters frontman, Jonathan Morali. It sets the mood perfectly and successfully immerses you into the life of this young adult. It creates an atmosphere reminiscent of an independent film, shown at the Sundance festival and that makes the game feel incredibly immersive and unique. The graphics are quite nice, with a unique and effective visual style that fits the world incredibly well. 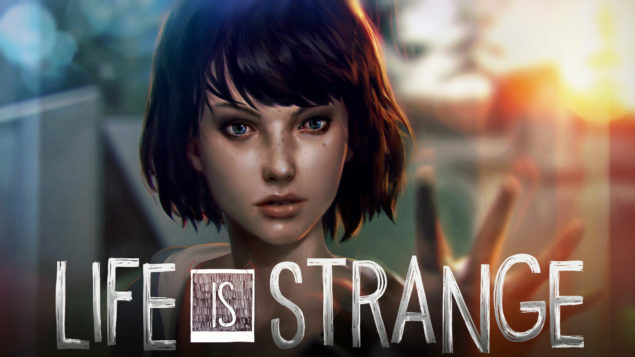 Being an adventure game, Dontnod’s Life is Strange can be compared to Telltale’s game series, such as The Walking Dead, A Wolf Among Us, Tales from the Borderlands and others. Even if the latter’s extensive pedigree, resulted in some of the most popular adventure games of recent years, Dontnod’s Life is Strange seems to be a more focused and more effective experience. Even if it lacks the action sequences used in Telltale games, with their Quick-time events, the gameplay makes you feel more active. It doesn’t have the same fast choice dialogue driven rush, like Telltale’s offerings, but the choices you make in several instances within the game, affect the outcome and progression of the story. 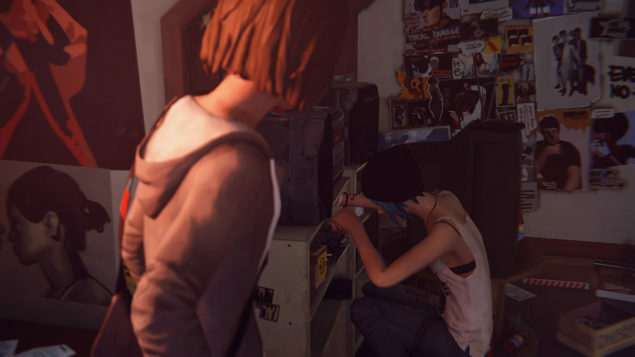 There is much yet to be revealed about the story arc and how several aspects of the episode could potentially advance, but taken on the merits of the episode, Life is Strange is a game that gives you much more control over your character’s movement and interaction with the world and makes you feel more like guiding the story, rather than just being a participating spectator. I am in no way trying to diminish the greatness of Telltale’s adventures, as they do remain some of my favorite games of the last few years, but I have to admit that I fell totally in love with Life is Strange, and to me, it feels like an independent masterpiece, with an incredibly moving soundtrack, great characters and an interesting premise. It just really feels so artistically unique and even if there are some very minor shortcomings, they do not affect the overall experience in the least. Life is strange is so simple and yet so deeply moving, that it transcends the standard gaming experience. I really wish I could get into much more detail and discuss the many possible turns, that the story could potentially take, but that would be impossible without spoiling the story. There are very few games that can move you, or awaken emotions the way Life is Strange does. Very few films manage to do that as well, a fact that makes Life is Strange so much more special than most entertainment out there. Although, it has to be appreciated for what it is, a very special experience, not an action game and not a traditional point and click adventure. I enjoyed the first episode immensely. The world of Life is Strange is captivating and it brought back great memories of youthful times. It lays the foundation for a great story and even if it slightly stumbles at times, there are so many little things that hint at its greatness. I will be eagerly looking forward to the release of the second episode in March and I urge everyone with even the slightest interest in games, to give this gem a try. It might not be everyone’s cup of tea, but those that do try it, will have an incredible experience.